On 01/18/19 Richland County Dispatch received the report of a 2 vehicle crash on County Hwy N just east of the city of Richland Center. Law Enforcement as well as Fire and EMS responded to the scene. 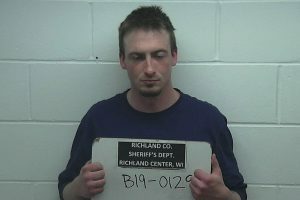 The driver of the full sized van, identified as Jaron Neunschwander-Luebke age 26 of Richland Center, was westbound on County Hwy N when he lost control of his vehicle negotiating a down hill curve and crossed the center line into the path of an eastbound Dodge mini van, operated by 39 yr old Scott Coppernoll of Richland Center. The vehicles collided head on with the Ford van coming to rest on the north edge of the highway and the mini van resting in the south ditch. Scott Coppernoll, his 37 year old wife Kelly Coppernoll and their four children were injured in the crash, as was the other operator, Jaron Neunschwander-Luebke. Scott and Kelly Coppernoll were trapped in the wreckage and were extricated by the Richland Center Fire Department’s Jaws of Life. All injured parties were transported to the Richland Hospital by Richland County EMS and Baraboo EMS. Jaron Neunschwander-Luebke and the four juveniles were treated and released. Scott and Kelly Coppernoll were transported by Baraboo EMS to UW Hospital in Madison where they are listed in stable condition. 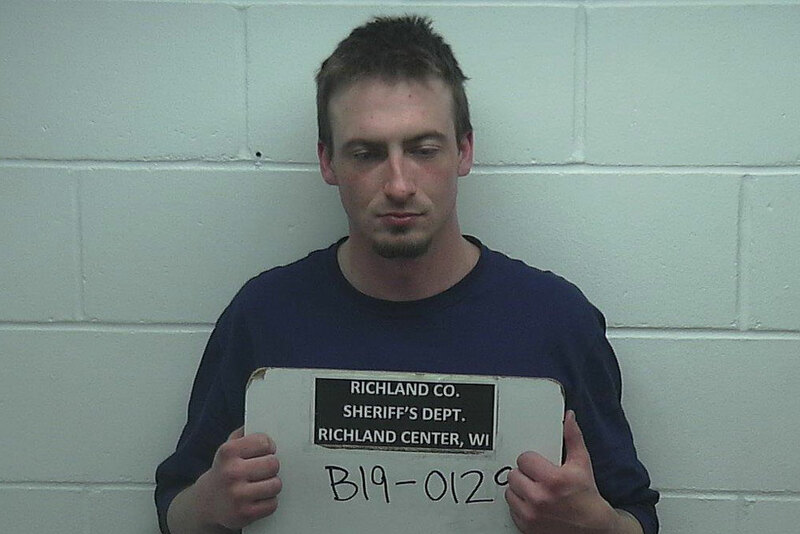 Jaron Neunschwander-Luebke was arrested and charged with operating while revoked causing great bodily harm. 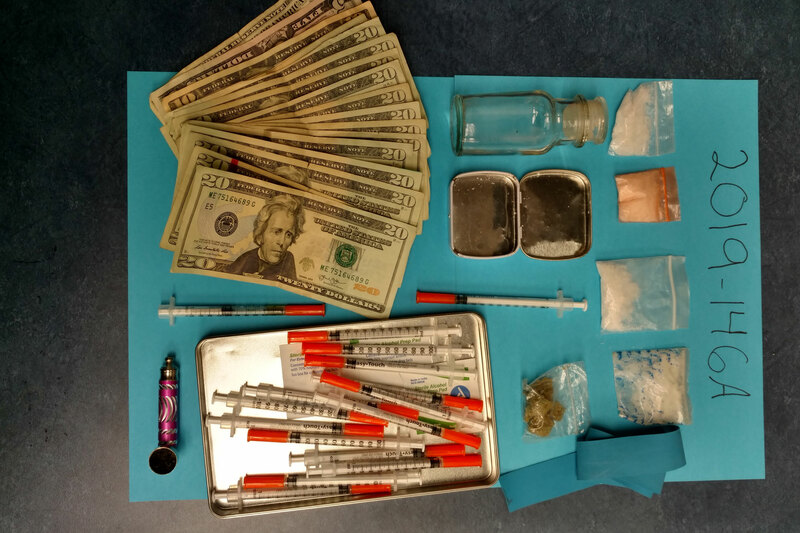 The charges are being referred to the Richland County District Attorneys Office. The incident remains under investigation. At 1:21 pm a 911 call came in to the Richland County Communications Center for a 2 vehicle crash on US HWY 14 at Peebles Drive. 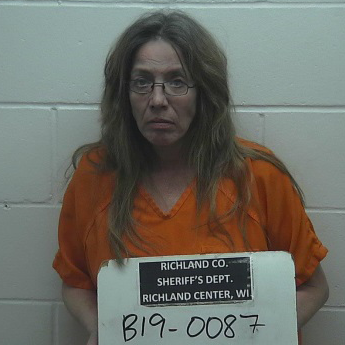 Richland County Sheriff’s Deputies, along with the Richland Center Police Department, Richland County EMS and Richland Fire responded to the scene. A 2004 Ford pickup operated by 54 year old Michael D. Rynes of Richland Center was traveling west on US HWY 14 when a 2005 Chevy pickup operated by 87 Year old Willard Jindrick of rural Hillsboro entered onto Hwy 14 from the Ash Creek Plumbing & Heating driveway to go Westbound. The Jindrick vehicle entered on Hwy 14 at a rapid rate, into the path of the Rynes vehicle, making a collision unavoidable. The Rynes truck came to rest in the intersection, while the Jindrick truck continued off the road into the grass just west of Peebles drive. Willard Jindrick was ejected from the vehicle and suffered severe injuries, he was not wearing a seat belt. Jindrick was transported by Richland County EMS to the Richland Hospital, and later flown by Med-Flight to UW Hospital in Madison where this morning he is listed in critical condition. On 9-16-18 at 7:04pm the Richland County Sheriff’s Department Communications Center received a 911 call of a UTV crash on Beatty Drive in Henrietta Township. The caller stated there was one person lying in the roadway and one person trapped in the UTV. Richland County Sheriff’s Deputies, as well as Yuba Fire & First Responders and Richland EMS responded. When Sheriff’s Deputies arrived, they discovered the passenger in the UTV had gotten out of the unit and was not injured. A passerby was performing CPR on the subject lying in the roadway. Deputies assisted the citizen with life saving efforts as Yuba and Richland County responders arrived on scene. The subject was transported to the Richland Hospital by Richland County EMS and then transferred by MedLink helicopter to UW Hospital in Madison where he was later pronounced dead. The victim, 65 year old Michael S. Sweatt of rural Cazenovia, had been traveling south bound on Beatty Drive with a passenger when the vehicle left the road way on the right and rolled over. The incident is being investigated by the Wisconsin Department of Natural Resources. On 9-16-18 at 4:50pm, the Richland County Communications Center received a 911 call of a single vehicle accident on State Hwy 60 approximately 2 miles west of County Hwy TB in Orion Township. The caller indicated one person was injured. Richland County Sheriff’s Deputies, along with Muscoda Police and Muscoda Fire and EMS all responded. The operator, Kyle T. Knutson of Reedsburg, was traveling eastbound on Hwy 60 when he travel off the roadway on the right, drove through a front yard, and became airborne after striking a driveway. The vehicle came to rest on its wheels facing west. Knutson was injured and trapped in the vehicle. He was extricated by the Muscoda Fire Department Jaw of Life. Knutson was taken by Muscoda EMS to a landing zone and flown by MedFlight helicopter to a Madison hospital where his condition at this time is unknown. Richland County Deputies were assisted at the scene by Lone Rock Fire, Muscoda Fire and EMS and the Muscoda Police Department The accident remains under investigation. On July 27th, 2018 at approximately 5:00 PM, James Stymiest of Appleton, WI was operating a motorcycle traveling westbound on State Hwy 60. Stymiest was negotiating a curve when he crossed the center line of the road and crashed into the driver side of an eastbound vehicle driven by Makenzi Christianson. Stymiest’s motorcycle then continued westbound into the north ditch line where Stymiest and motorcycle came to rest. Stymiest was transported by Muscoda EMS to Gotham where he was transferred to UW Med Flight and transported to Madison. The cars passenger Joshua Bockorny was transported by Lone Rock EMS to Richland hospital for non life threatening injuries. One lane of traffic on State Hwy 60 was closed for approximately an hour for emergency personnel. Stymiest is listed in stable condition at this time. The accident remains under investigation by the Richland County Sheriff’s Department. On July 3rd, 2018 at approximately 1:20 P.M. Ronald Rood, 58 of Viroqua, WI was operating a motorcycle Westbound on US Hwy 14. While traveling Westbound on US Hwy 14 an unidentified dark colored car crossed the center line of the road forcing Rood to swerve to avoid a crash. After swerving Rood lost control of his motorcycle and Rood was thrown from motorcycle coming to rest on the east shoulder of the the roadway. Rood’s motorcycle continued into the east ditch line where it came to rest and the unidentified vehicle continued east bound on US Hwy 14 not stopping for the crash. Rood was transport by Richland EMS to the Richland Hospital for non-life threatening injuries. This accident remains under investigation by the Richland County Sheriff’s Department. On 05-26-18 at 10:55 PM deputies responded to a report of a two vehicle crash on State Hwy 80 near Pauls Hill Drive. A vehicle being driven by Gregory Fischer, 33, of Richland Center, was traveling north bound on State Hwy 80 when an oncoming vehicle being driven by Daniel Bell, 35, of Richland Center, crossed the center line entering the north bound lane. The vehicles collided head on blocking the entire highway. 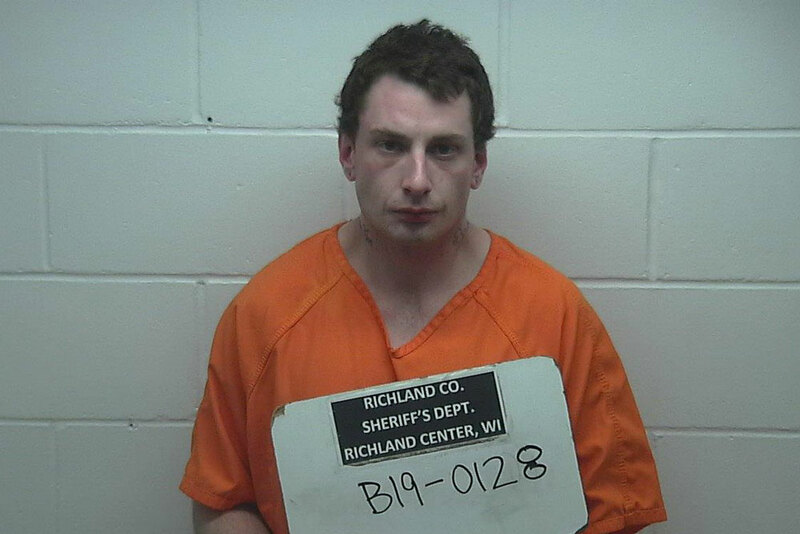 Fischer and his passenger, Jessica Brown, 29, of Richland Center, were trapped in their vehicle and had to be extricated by the Richland Center Fire Department. Brown was transported to Richland Center Hospital by Richland County EMS for serious injuries and later transported to UW Health in Madison by UW Med Flight. Fischer was checked on scene by Richland County EMS and did not require treatment. Bell refused medical treatment on scene but was later transported to UW Health for non-life threatening injuries. Bell has been charged with operating while under the influence causing injury. The crash remains under investigation by the Richland County Sheriff’s Department.